The Reunion… 1932 by Chanel… A Transatlantic Easter Review (Part I) | The Perfumed Dandy. We have both been striving separately and in secret from each other to cogitate our views of Chanel 1932. And we now present those thoughts here and there, more or less simultaneously for all to see. 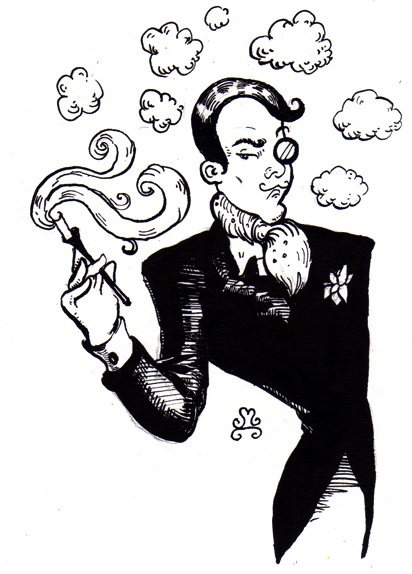 First up The Perfumed Dandy‘s perception..
No one it turned out had thought of her for years. Everyone remembered her, but no one remembered a thing about her. Not one of them could even recall her name. And yet there she was in nearly every photograph, almost hidden, somewhere towards the back. Elegant, understated, almost, but not quite beautiful. Never looking directly at the camera, never, it seemed, talking or laughing or even, he realised now, even smiling. Then everyone said that no one had looked at those pictures for years. In his case it was true, very nearly exactly twenty years. Graduation shots, something taken, registered, filed away with degree diploma and never examined again. Not until the day they thought of a reunion. Of course they didn’t need a reunion for themselves, as thick as thieves those four from the class of 1992, lunch or dinner at least once a week, holidays together, married around the same time, parallel career paths. It was at lunch: a hotel restaurant, in a conservatory, perhaps it was meant to be an orangery? Somewhere near the river? He was certain it was at lunch, over one glass too many of champagne, a birthday, a business deal? Yes, It was definitely at lunch that one of them suggested getting ‘everyone’ back together. The ones who weren’t in touch, the so and so’s who went to work abroad, or into teaching, who married and divorced young, who fell out of favour. Yes, it was time for a stock take, they would all be forty soon. So he, with his forensic mind, was called upon to track them all down, all the missing so and so’s, all the loose ends and the dead ends and bring them back together again. And it was easy you know, a few feelers on facebook, half a dozen mutual friends, the notice in the alumni magazine and that was it, everyone accounted for. Dead or alive, willing or indifferent or opposed to the idea of a meeting. And no one knew her name. The others said it didn’t matter. Who was she anyway? But he would not be put off. He was determined that she would not be the only thing to elude him. The University wouldn’t help, couldn’t help, data protection they said. The protection fell away after a donation just large enough to the correct charity. Of course he would be welcome to have a look at the registry archives on the afternoon after he presented the cheque to the capital development fund. No one had told the archive assistant, fine boned, grey haired, though only in her forties he guessed, somehow too done up: smelling of expensive make up, all powder lilacs and buttermilk irises, no one had told her to make him welcome. She thought it all very irregular and made no bones about telling him so as she led him to the files and back through the years: 2007, 2002, 1997, 1992. Proper paper files he thought, though not for much longer: she assured him that all this would be hard disk within weeks. She seemed satisfied. Happy to be free of the smell he imagined: the slightly bleached smoke and wax of the copy paper, the incense-like dust collecting on files. No more paper chases he reflected. She handed him one of those files and he noticed her hands: they were young hands, in fact, despite that grey hair he could see now that she was no older than him, younger perhaps. He started to look through the dossier, every student, their names, their applications, their academic records, exam results and all – so that’s what they had really got – and photographs on enrolment day. Arranged alphabetically, he went fom A to Z without seeing her face. Then, at the end, a file under separate cover. There she was, staring out blankly at him, that memorably unmemorable face. At that moment he realised that it wasn’t her face at all, not her face that he or anyone else remembered. What they all remembered was her necklace: a striking piece of costume jewellery they had all supposed, a falling star set with crystals and a jewelled train behind it. There it was, sparkling at him through time, wrapped around her shoulders. He looked down to where her name should be. No name or address, no test results or school references. Nothing. He shook the file in anger more than hope. How was this possible? How could she, of all people, escape him? A piece of card fell to the floor and he grabbed at it. An invitation, in French, to an exhibition at 29, Faubourg St Honore, Paris. 7 au 19 Novembre, 1932. 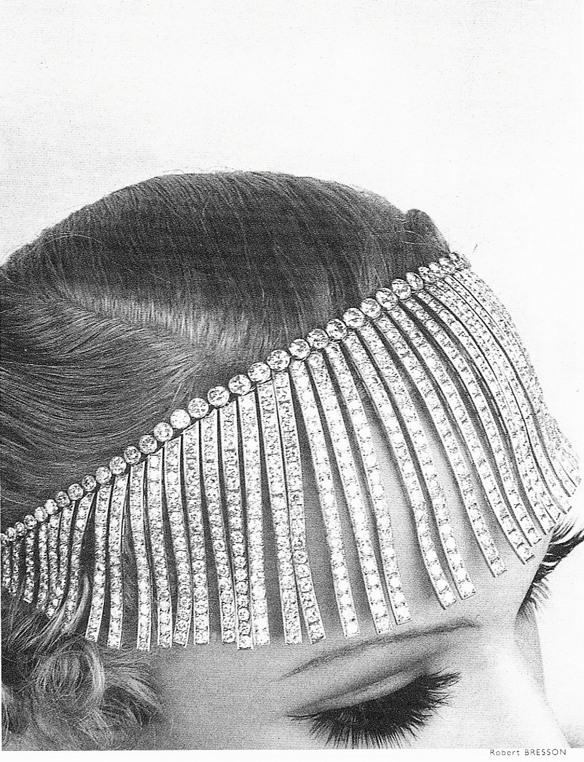 For Chanel, 1932 is most remembered as the year in which the house unveiled its first mesmerizing collection of jewellery. The scent that bears the same name is unlikely to do anything to change that fact. This is a peerless example of a perfume with perfect poise, little personality and no apparent passion. A practised opening of adroit aledhydes with sharp bergamot and neroli feels disconcertingly level headed, almost flat. The transformation into powder and wax floral heart is as seamless as it is soulless. Both the iris and a less latent than had been expected lilac are exemplary in their execution, but somehow fail to engender excitement. The drydown is to a feint and faintly elegant smoke and sandalwood, with elements of the heart persisting. With a wave of jasmine and an undercurrent of wild grass, there is more depth to the conclusion that some may have you believe. In fact the formal structure is more than adequate but it is also simply unmoving. For all the evident quality of the ingredients and the considerable consideration that has clearly gone into its composition, this aroma never catches alight. It might possibly have been a very slow burner, but to achieve this status the longevity must be massively improved. It is like something really quite good by a so so scent maker. 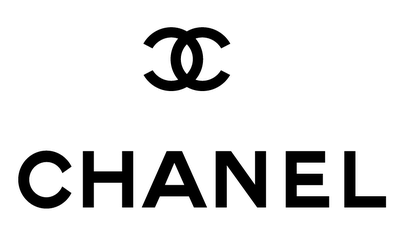 It doesn’t feel like a Chanel. But it is. Chanel 1932 is a beautifully made perfume, but it is not a beautiful perfume. 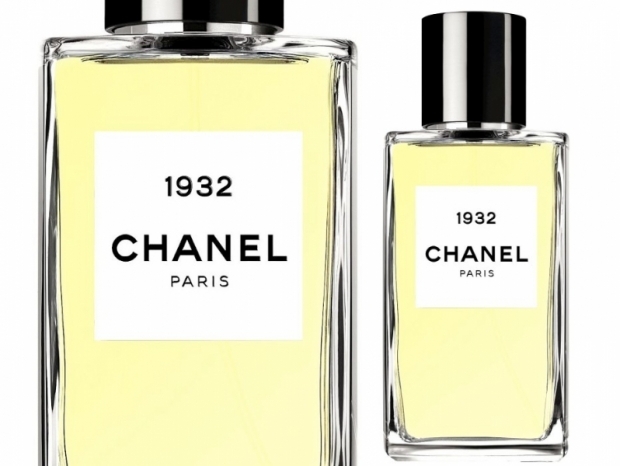 The perfumes in the ironically named ‘Exclusifs’ range to which 1932 belongs are the least exclusively male or female of any of those made by Chanel. Whilst this might not be the most obviously ready to wear for men, if the cut fits, why not? There are better reasons than gender alone to give this fragrance a miss. What a great story! I love a mystery. “Nothing. Nothing.” How frustrating. 😦 I haven’t tried 1932 yet, but now I must. So is it really ‘nothing’? No, it is impossible to accept. If anyone can track her down the Dandy can. I shall share a secret between the two of us – and whoever else may be listening – but it is possible that the missing ‘one nine three two’ may be found in a later review. Indeed, some other of the characters we have already met, may return to reviews at a different stage in their lives… who knows where the rest of the year will take us? I really enjoyed the way you built up the sense of mystery, with the slightly foosty librarian playing a central role! Then the finale trailing out to a sort of absence, great writing and an effective allegory for the experience of trying a much anticipated scent that turns out to be a bit thin on the ground! I had that experience with Dans tes Bras by Roucel – I assumed I’d been sent the wrong sample, but I hadn’t. Have you ever tried that one? I’m off now to read Lainier’s review, how interesting to compare impressions! Thank you so much for your very perceptive comments. I wonder though whether this absence will prove to be a permanent one.. I felt the same way about Dans tes Bras, Rose. It was like…Is that all there is?? That’s good to know Lilybelle – I wondered if I was anosmic to something in it, it smelled like a slightly annoying clean musk, in fact a cheap musk, weird eh?